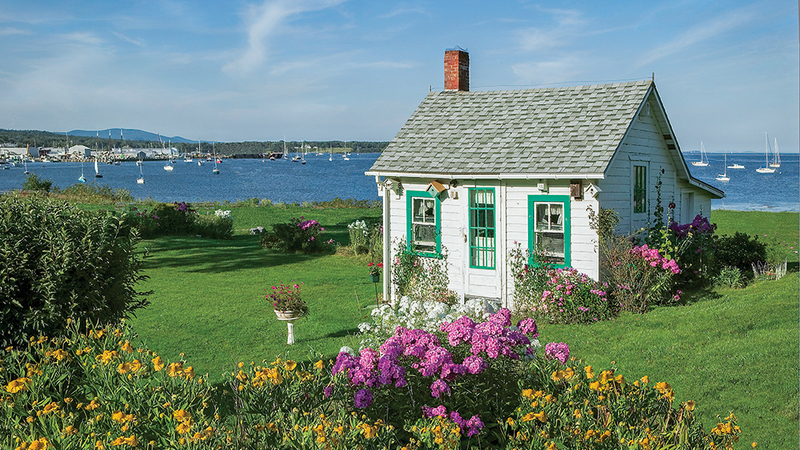 Scattered patches of vivid wildflowers and a carpet of emerald green grass give this wee cottage, along the shore of Maine’s picturesque Penobscot Bay, a magical air. Renowned wildlife expert and “animal ambassador” Jack Hannah could have any kind of cabin he wanted. He chose this 700-square-foot woodland log cabin as his sanctuary. The quiet peace and sense of permanence a log cabin provides can’t be denied. 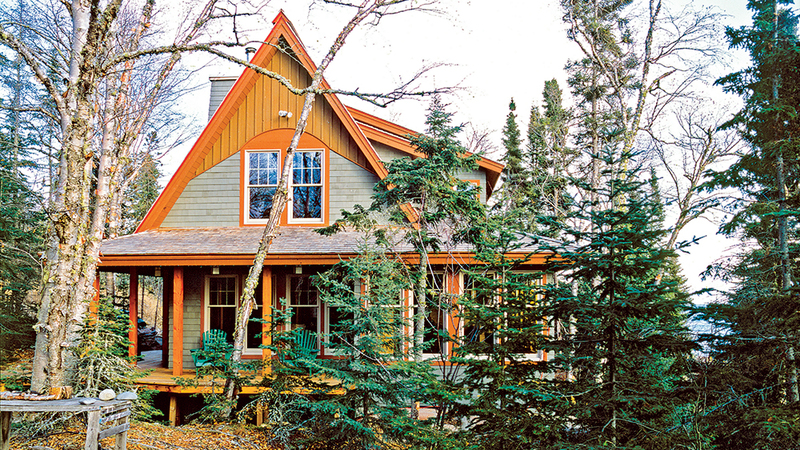 A steeply pitched roof gives an A-framed-chalet effect to this Lake Superior cabin creation. But it also has a practical side: It’s quite effective at shedding snow. 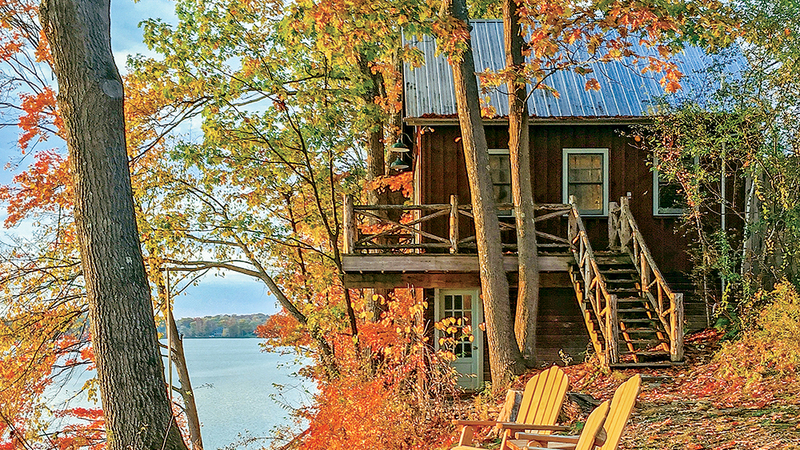 In Upstate New York, autumn puts on a spectacular show and this tiny tree house, perched above Copake Lake, has a front row seat. The metal roof creates a soothing patter during a rain shower. 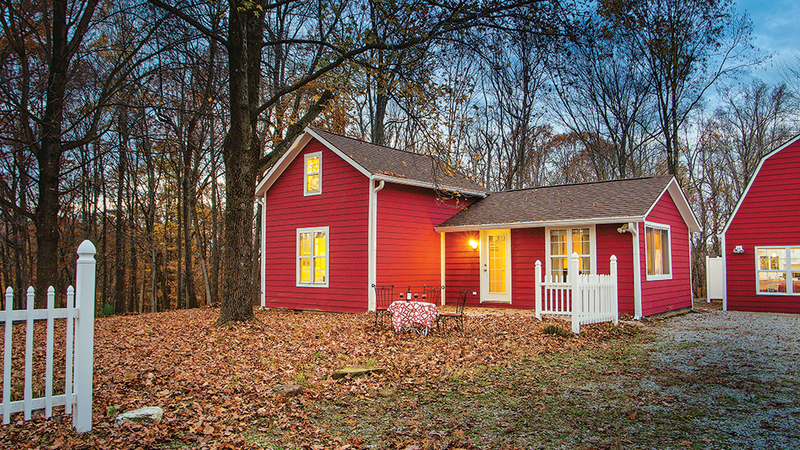 With barn-red siding and a white picket fence, this once dilapidated 1,000-square-foot farmhouse, nestled in the heart of Indiana’s Hoosier National Forest, is now picture perfect. 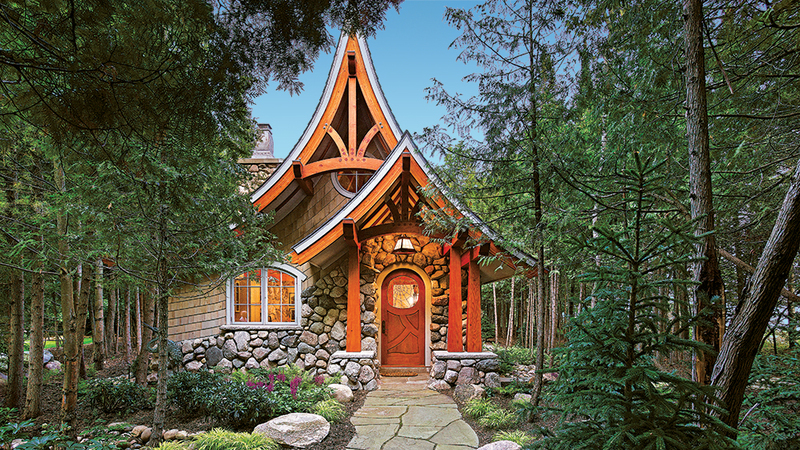 Tucked away in a grove of white pine trees, this expressive cottage — with its undulating cedar shingles, intricate stonework and acutely bowed roof-line — looks as if it were plucked from your favorite childhood fairy tale. The curved white oak door, with an intricate spider-web of iron creeping across the leaded glass, accentuates its playful nature. 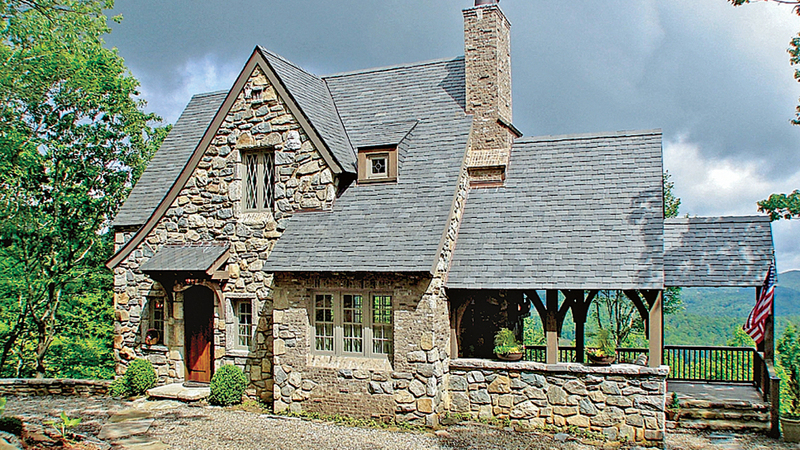 Arches, dormers, curves and bump-outs — all clad in rock with timber-framed accents — give this petite cottage a storybook facade that could make Hansel and Gretel come knocking. 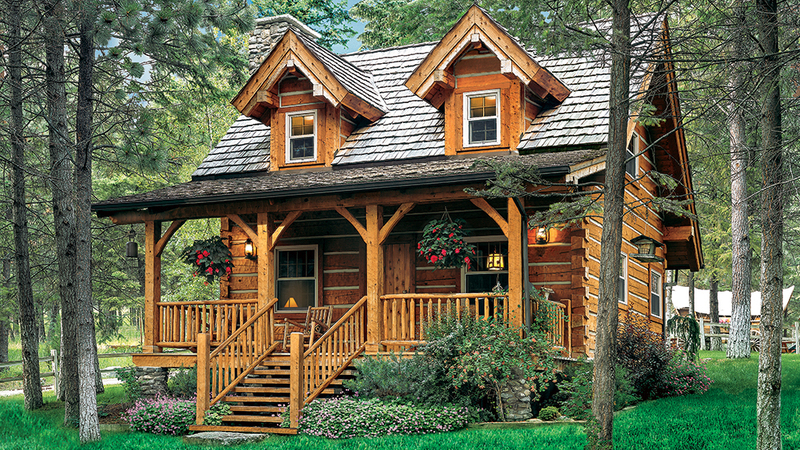 Like most cabins and cottages, porches and other outdoor living areas play a key role in the design. 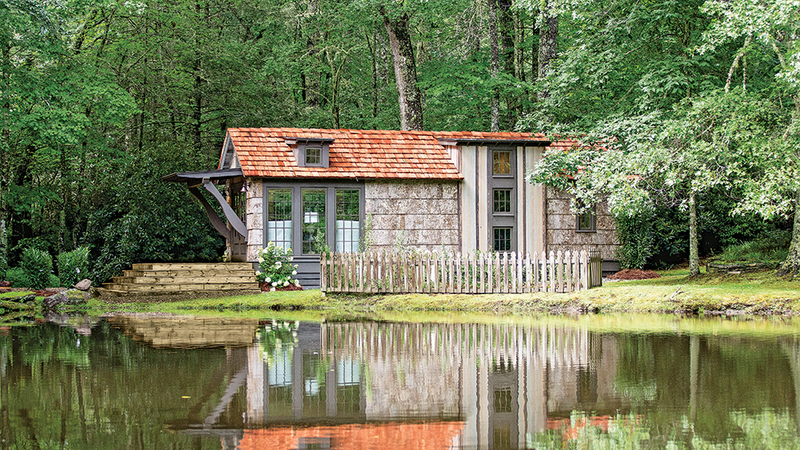 At just 464 square feet, this South Carolina Low Country cabin takes advantage of every inch of space, inside and out. Ample windows are strategically placed at eye level to allow light, cooling breezes and tranquil views to flow inside. 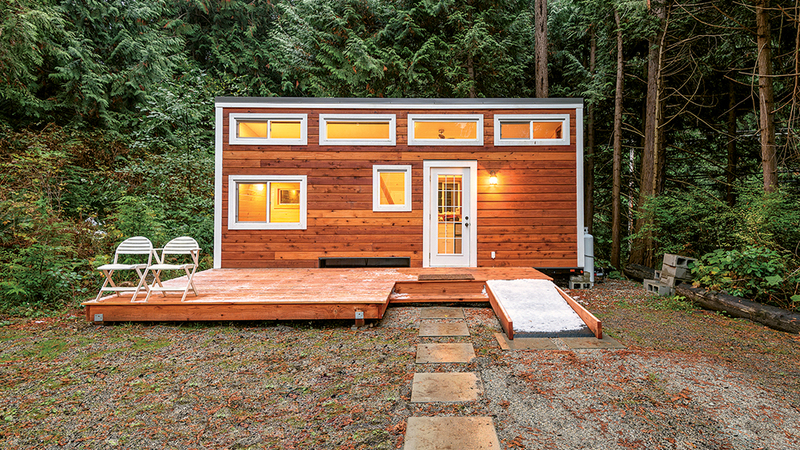 A simple, straightforward design is central to the success of this tiny camp. Boasting all the essentials its dwellers need, it’s perfectly sized as an intimate escape from the hustle and bustle of everyday life.